The Westworld actress stars in a new thriller coming to UK/ROI cinemas in May. Evan Rachel Wood returns to the small screen in April for the second season of hit sci-fi show Westworld. A month later she graces the big screen in psychological thriller Allure, the feature debut of photographers Carlos and Jason Sanchez. In the film, Wood plays a young woman who embarks on an obsessive relationship with a troubled teen (Julia Sarah Stone). Allure will be released in UK/ROI cinemas May 18th by Eureka Entertainment. 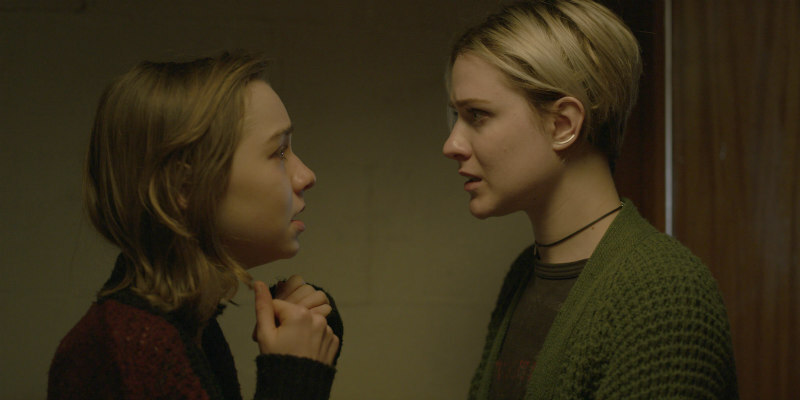 Plagued by the abuse of her past and the turmoil of failed intimate encounters, Laura (Evan Rachel Wood) struggles to find a lover and a sense of normalcy. Her beacon of hope comes in sixteen year-old Eva (Julia Sarah Stone), a talented pianist disillusioned by the life her mother imposes upon her. An unlikely relationship is formed between the two and Eva becomes an obsession to Laura. In light of Eva's unhappiness, Laura convinces her to runaway to her house and they soon find themselves caught within an intense entanglement. Manipulation, denial and co-dependency fuel what ultimately becomes a fractured dynamic that can only sustain itself for so long.